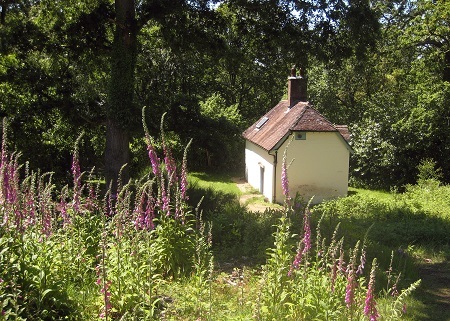 15 December 2015: The T. E. Lawrence Society is delighted to hear that Lawrence’s beloved Clouds Hill cottage in Dorset has been upgraded to Grade II* Listed status today by the Heritage Minister Tracey Crouch. It is an official recognition of Lawrence’s place in history, as well as the special position which Clouds Hill held in his heart: his “earthly paradise” as he described it in one of his last letters written in May 1935. The only adult home of the iconic diplomat and writer T. E. Lawrence has been upgraded to a Grade II* listing today by Heritage Minister Tracey Crouch. Lawrence was considered one of the most recognisable figures from the First World War, following his work in the Middle East and his involvement in the Arab Revolt. The cottage, Clouds Hill, in Dorset served as Lawrence’s retreat from barrack life where he would entertain his friends and wrote most of his famous books. Famous visitors included Lady Nancy Astor, Siegfried Sassoon and Augustus John. Lawrence reconstructed the partly-derelict cottage during 1923-35 to his specifications and needs, preferring the simplicity of the small and unheated building. Since his death in 1935 the cottage has remained unaltered and preserved as he left it. Clouds Hill and some of its contents were given to the National Trust by Mr A. W. Lawrence as a memorial to his brother, T. E. Lawrence, in 1937.
interest, a building “must illustrate important aspects of the nation’s social, economic, cultural, or military history and/or have close historical associations with nationally important people. There should normally be some quality of interest in the physical fabric of the building itself to justify the statutory protection afforded by listing”. Clouds Hill now joins just 5% of Listed buildings which have been upgraded from Grade II to Grade II* status to reflect their “more than special interest”. Only 2.5% have Grade I status denoting their “exceptional interest”. 26 November 2015: We have been saddened to hear of the death of Hugh Leach – “soldier, diplomat, Arabist, author, adventurer, circus impresario, and eccentric” as he was described in an obituary in the Daily Telegraph – on 14 November at the age of 81. 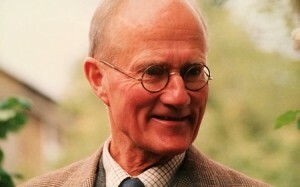 In 1998, after a quarter of a century of service in the Middle East, as a soldier and diplomat, Hugh received the distinction of being awarded the Lawrence of Arabia Memorial Medal by the Royal Society for Asian Affairs, following such luminaries as Wilfred Thesiger (with whom he would become friends). In a lecture delivered to the “63” Club in 1988, entitled T. E. Lawrence: Some Centenary Reflections, Hugh remarked on how his service had given him practical acquaintance with most of the territory over which the Arab Revolt was fought. “I have followed both Lawrence’s and Doughty’s tracks and read their works in situ … And I have met a number of people, including Turks, who were engaged in those great events of seventy years ago,” he wrote. The T. E. Lawrence Society was therefore privileged earlier in 2015 to be given permission by Hugh to reprint his lecture in the Journal (Vol. XXIV, No. 2). As it was remarked in the Journal, his insight into the life of T. E. Lawrence stands as a record which must be cherished. “I am extremely sorry to report that Mary Bryden died on November 5. She was an exceptional person, the most distinguished scholar in the UK interested in T. E. Lawrence. She had intended to write a book about him. In 2004 she gave a remarkable paper, Lawrence, Malraux, and the Figure of the ‘Aventurier’, at the T. E. Lawrence Society Symposium. In 2012 she gave another, Studies in Detraction: Aldington’s Predecessor, Herbert Read. Only a few days beforehand she learned that she had cancer. 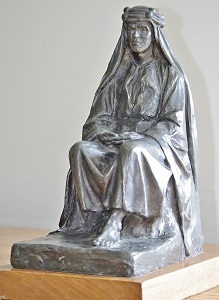 Early in 2015 Mary organised a workshop on T. E. Lawrence at the Institut d’Etudes Avancées in Paris; but shortly before it took place her health suddenly deteriorated and she was unable to attend. The Institut made a video of the papers which she watched with keen interest. We pass on our very sincere condolences to Mary’s family. 23 October 2015: Campaigners could have to wait 18 months to hear whether they have succeeded in saving the idyllic village of Moreton in Dorset – where Lawrence is buried – from the threat posed by quarrying, according to a BBC South report broadcast this week. Dorset County Council’s consultation into the designation of 58.5 hectares of land in Moreton for the quarrying of sand and gravel closed today, with nearly 450 people from around the world signing an online petition calling on the council to “Let Lawrence of Arabia Rest in Peace”. We will update members on the consultation as we hear more. 16 September 2015. Dorset Magazine is the latest publication to cover the Society’s campaign to block the designation of land close to Lawrence’s grave in Moreton, Dorset, for the quarrying of sand and gravel. 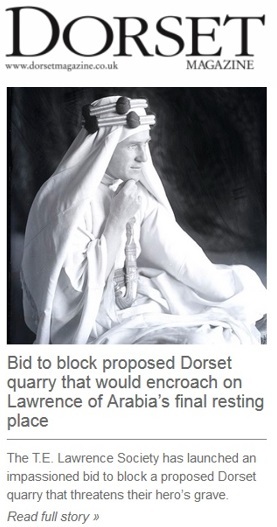 Under the headline Bid to block proposed Dorset quarry that would encroach on Lawrence of Arabia’s final resting place, the online edition of the magazine reports that the Society’s Vice-Chair Alan Payne has called on Dorset County Council to rethink the proposals which would adversely affect the historic and environmental importance of Moreton. Dorset Magazine’s coverage can be read HERE. Solent and appeared in the Daily Express (HERE), while the Dorset and Bournemouth Echos reported that Dorset County Council has been forced to extend the consultation period by a month to 23 October 2015 (HERE). (go to Appendix A: Site Allocations, then to site AS-25, Station Road, Moreton). 27 August 2015. Following an approach from a concerned resident of Moreton village in Dorset regarding a proposed policy to allow the quarrying of sand and gravel on a site along the main road into the village from the west – a little over half a mile from the cemetery where T. E. Lawrence is buried – the Society has made a representation to Dorset County Council in opposition to the plan. 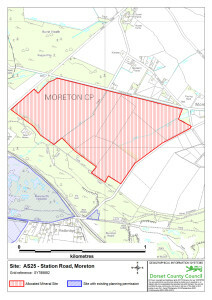 The proposal for the 58.5 hectare site on Station Road, Moreton, forms part of the Dorset County Council Draft Mineral Sites Plan July 2015, which may be viewed at http://consult.dorsetforyou.com/portal/draft_minerals_plan?pointId=768323. Further details including a map can be found at Appendix A: Site Allocations (site AS-25). Anyone wishing to make a personal representation may do so until 5pm on 23 September 2015. Go to Appendix A: Site Allocations, then use the Add Comments link next to site AS-25. A petition against the proposal has also been started HERE. Society by the Vice-Chair Alan Payne. I am writing on behalf of the T. E. Lawrence Society as Vice Chair (I am also a Planning Consultant). 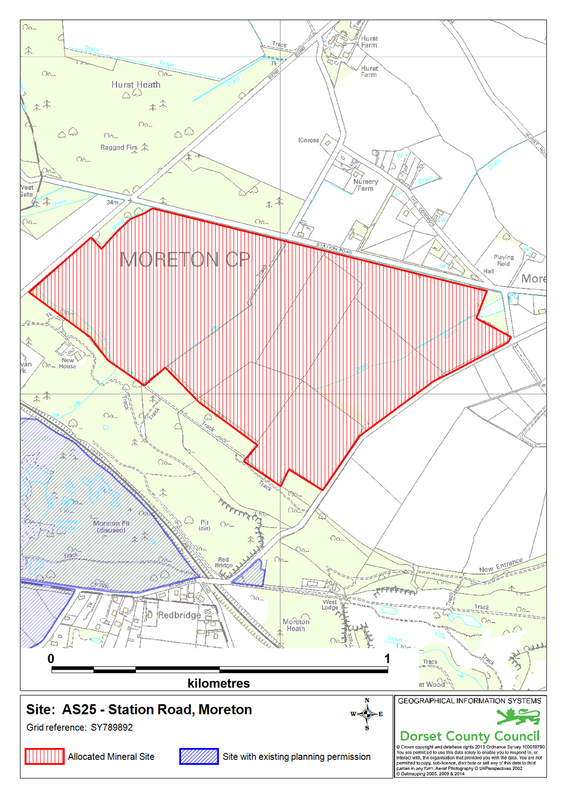 Our case is quite simple: the village of Moreton is an oasis set in a part of Dorset which has been adversely affected by mineral working, housing development and by the nearby military training area. The village is of international importance as the final resting place of T. E. Lawrence (Lawrence of Arabia). He is buried in the tranquil cemetery near to St Nicholas Church, which was where his funeral took place in May 1935 in the presence of Winston Churchill and other dignitaries. In addition, the Moreton tea rooms and the picturesque ford also provide a focus for the thousands of people who visit Moreton. The approach to Moreton from the west is wholly rural and is part of the whole experience of any visit to the village. The proposed quarry will not only destroy what is the main approach to the village, but the noise of quarrying and heavy lorries will undoubtedly be heard in the village. The National Planning Policy Framework makes it quite clear that as regards mineral workings, local authorities should “set out environmental criteria, in line with the policies in this Framework, against which planning applications will be assessed so as to ensure that permitted operations do not have unacceptable adverse impacts on the natural and historic environment….”. The Society would strongly suggest that the historic value – as well as the natural environment – have been forgotten in this proposed allocation. What is now being proposed is a development which will adversely affect the final resting place of one of the most important figures of the 20th Century and a valued destination for thousands of visitors, who also make a contribution to the local economy! 15 July 2015. A silver-gilt dagger presented to Lawrence by Sherif Nasir after the capture of Akaba and later left in the keeping of Lady Kathleen Scott after she sculpted Lawrence in 1921 was sold for £122,500 at Christie’s saleroom in King Street, London, on July 15 (hammer price plus commission). Reflecting its historical significance (“the last of Lawrence’s Arabian daggers known to survive in private hands,” according to the sales catalogue), it had been estimated to sell for up to £90,000. A set of Arab robes that Lawrence also left with Lady Scott was sold on the same day for £12,500. 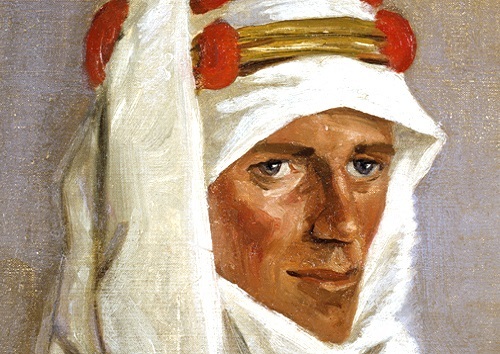 T. E. Lawrence: His Arab Clothing and Daggers by Joe Berton and ‘An Acute Attack of Lawrencitis’: Lady Kathleen Scott’s Friendship with the Lawrence Family by Alison Jolley. They have only since appeared in public for the National Portrait Gallery and Imperial War Museum exhibitions on Lawrence. They were put up for sale at Christie’s following the death of the 2nd Lady Kennet, Elizabeth Young, in 2014. It is interesting to reflect that Lionel Curtis paid £125 for the gold dagger that he bought from Lawrence in 1923 (later presented to All Souls College, Oxford). Lawrence spent the proceeds carrying out repairs to Clouds Hill. A third dagger that Lawrence wore during the Arab Revolt, given to him by Sherif Abdullah, was presented as a gift to the Howeitat chiefs, and presumably will never reappear. 10 July 2015. 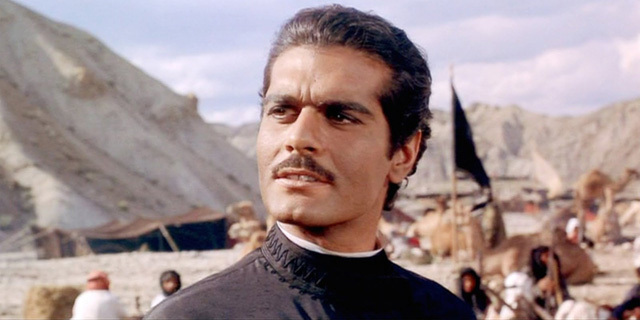 We have been saddened to hear of the death of Omar Sharif, who has died at the age of 83.
mirage, from a shimmering desert horizon in David Lean’s Lawrence of Arabia. He was in his late 20s when David Lean chose him to appear in his first English-speaking role alongside another relatively unknown actor, Peter O’Toole. The rest, as they say, is movie history. Omar Sharif won two Golden Globes and an Oscar nomination for his supporting role as Sherif Ali. He went on to play the title role in David Lean’s Doctor Zhivago. With the death of Peter O’Toole in 2013, perhaps the two actors are now reunited at some bar in the heavens. 2 Polstead Road, the Oxford home of the Lawrence family between 1896 and 1921, together with the bungalow built in the back garden for the youthful T. E. Lawrence, is an important piece of Lawrence history. Heritage) to have the building listed as one of Special Architectural or Historic Interest. including some splendid photographs from some of our American members who have made relatively recent visits to the house. It is important to bear in mind that the Society’s objective at this point must be focused on gaining the Listed status for 2 Polstead Road which will protect its historic integrity. 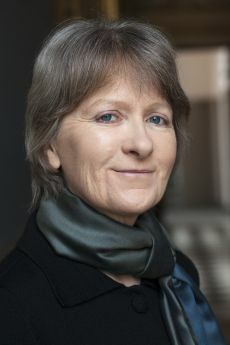 Although newspaper reports have talked about the house possibly being purchased in the future, it is important to bear in mind that this would be an entirely separate decision which would necessarily have to involve other organisations better resourced than the Society to take on custody of the house. The Society will keep members informed on how the application progresses.